Last month was my wife's birthday and having well received a tip for a new watch, I started looking around for nice women models. I somewhat ended up focusing on the Fossil brand as I liked the overall designs and it was on budget. While hunting for the killer design which would please my better half, I could not help but noticing an overwhelming presence of gold rose. Below is actually a print screen of their website best recommendation. This was barely a week after Apple just introduced their iPhone 6s with the new gold rose colour. Trend? Rose gold, also known as pink gold, is a actually a gold and copper alloy which was first used in jewellery during the 19th century. Since then its popularity went on and off until very recently, as the past couple of years stars seemed to enjoy this stand-out colour. Apple, being a design icon, could certainly not let their VIP customers mismatch their jewel colours. The popularity of the warm gold rose and copper colors actually extends well beyond the fashion industry (I let you decide whether a phone is part of that) and this is what caught my attention. Indeed, the past three years or so, design furniture manufacturers have been increasingly using copper in their furnitures and accessories. I have to hand over the palm to BoConcept, a Danish brand I particularly like, for their extensive selection of copper items which is glorified with their Product line inspired by the Periodic Table (Cu element). It was then just a matter of time before AV companies start joining this copper party. 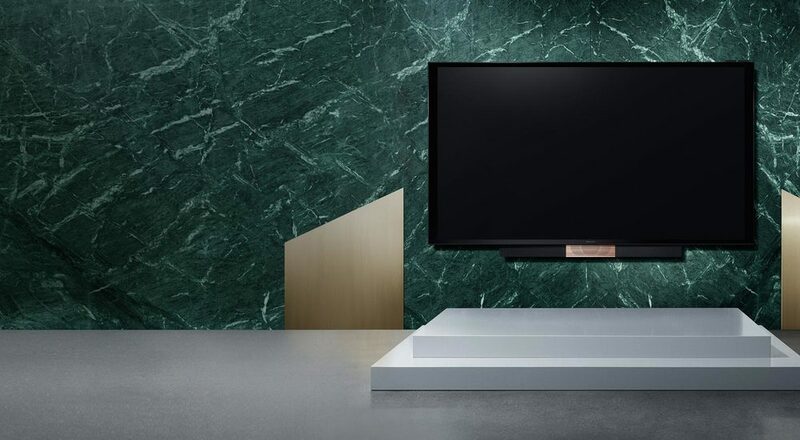 Naturally, Bang & Olufsen, another design icon took the lead and recently announced an exclusive line of products for their 90th birthday with a chic 'Rose Gold' finish. They call it "the love affair collection". So now you know what to do to upgrade your living room! Give yourself some warmth and coziness with some copper items and if you can afford, it will even playback your favorite movies and music.